One of our biggest hopes for iOS 7 is that it will come with a huge update on UI. iOS is starting to look a bit old and everyone’s tired of the skeuomorphic features. It needs some innovative minimalist touches from Jony Ive. 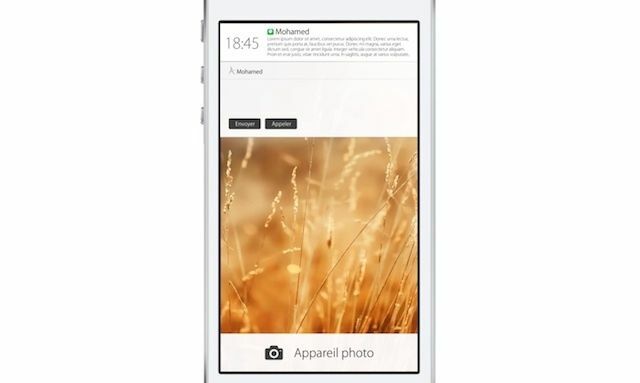 Mohamed Kerroudj has created his own vision for what the iPhone’s Lockscreen should look like. The linen backgrounds have been replaced by flat white surfaces, but what’s better is you can actually respond to message right from Notification Center, or trash them, or schedule a date in your Calendar, or toggle your Wifi. It’d be great. Kerroudj’s concept is a bit reminiscent of Google Now mixed with some of Windows Phone’s flat surfaces. Being able to act on notification bubbles from the lockscreen would be great, but is Kerroudj’s concept too striped down? Let us know what you think about it in the comments.